This guide to Java provides a comprehensive reference and tutorial for the Java 2 specification. It shows everything needed to develop, compile, debug and run Java applications, with practical examples and details of the Java language. Herbert Schildt is a world leading programming author. He is an authority on the C, C++, Java, and C# programming languages, and a master Windows programmer. His programming books have sold more than three million copies worldwide and have been translated into all major foreign languages. 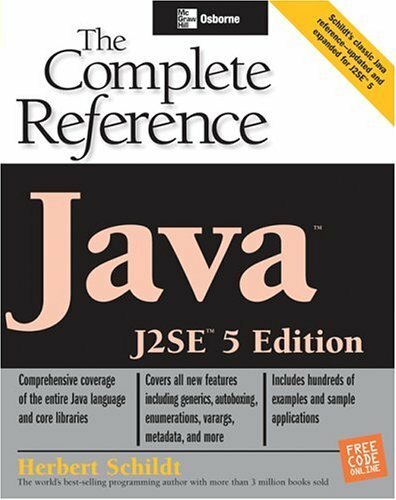 He is the author of numerous best sellers including C: The Complete Reference, Java 2: The Complete Reference, Java 2: A Beginner's Guide, C#: A Beginner's Guide, and many more. Schildt holds a master's degree in computer science from the University of Illinois.